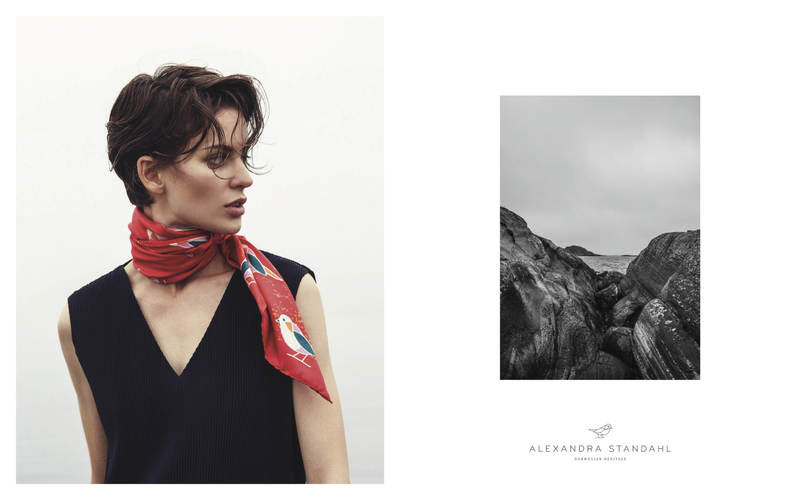 We wanted our very first campaign to do more than simply just promote our scarves. 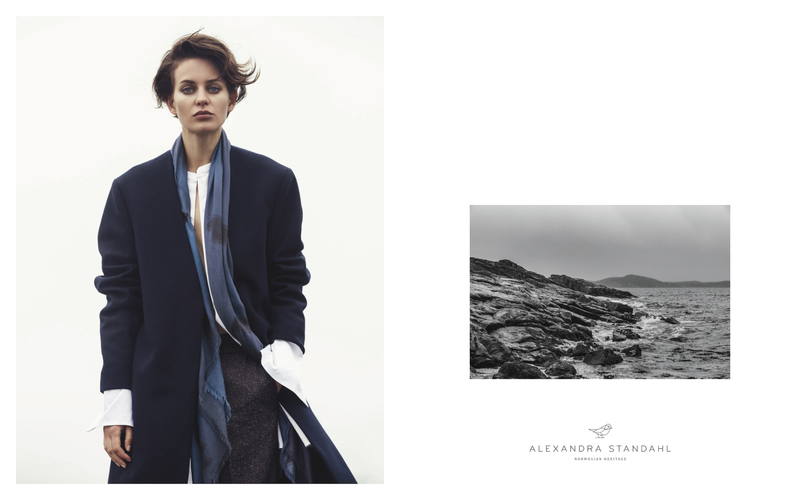 We where looking for someone who could interpret the mood of the collection and communicate the story of ALEXANDRA STANDAHL in their own visual way. 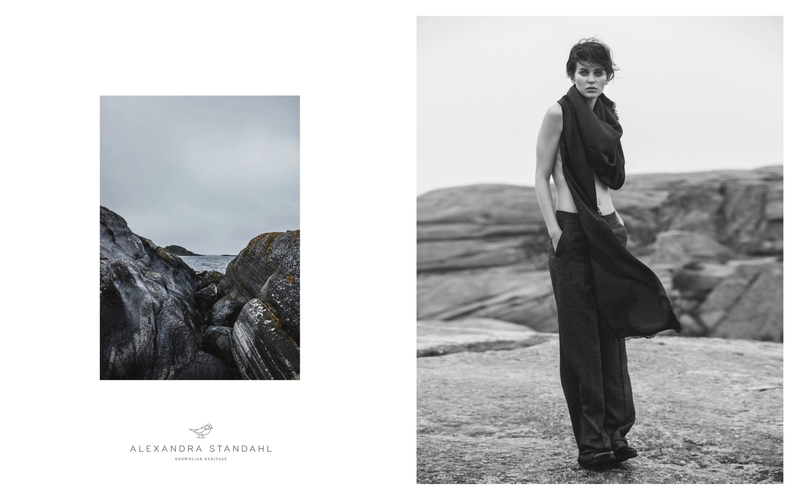 We have long admired the individuality and casual sophistication in the images of Janne Rugland and Kjell Ruben, and we are extremely grateful for the opportunity to collaborate with not only one, but both of them. 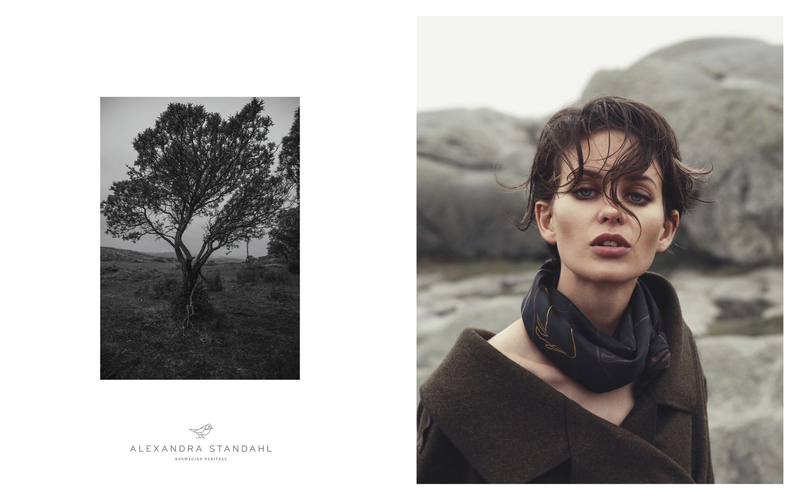 The images of Janne Rugland and Kjell Ruben have an undeniable and timeless beauty. Their style is not similar, but they have the same passion and intuitive drive to tell great and interesting stories in the most capturing way. The combination is exceptional. They strip things down to its essence and frame their subjects in a poetic way, and always with an edge. 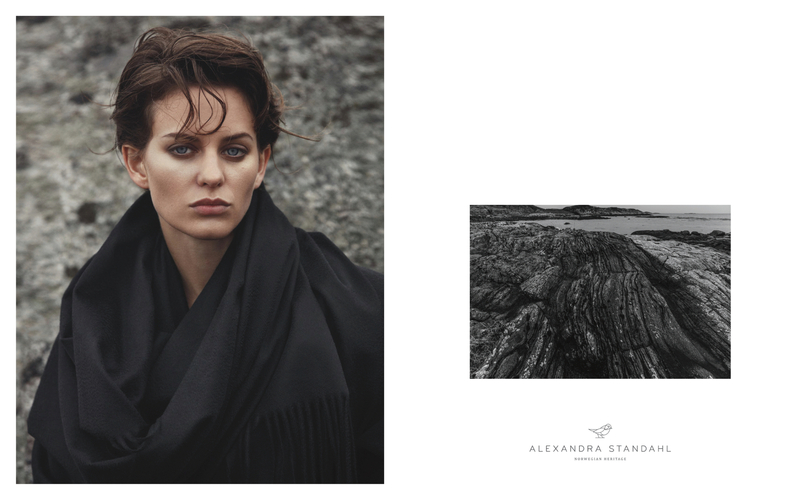 We are very pleased with the powerful results— the images and their visual story telling are quite extraordinary. an apprentice, before working with family portraits as a freelance. By end of 2008 Janne was assisting the Norwegian fashion and advertising photographer Morten Qvale. She worked with him for two years, and within short order started to get her own jobs. 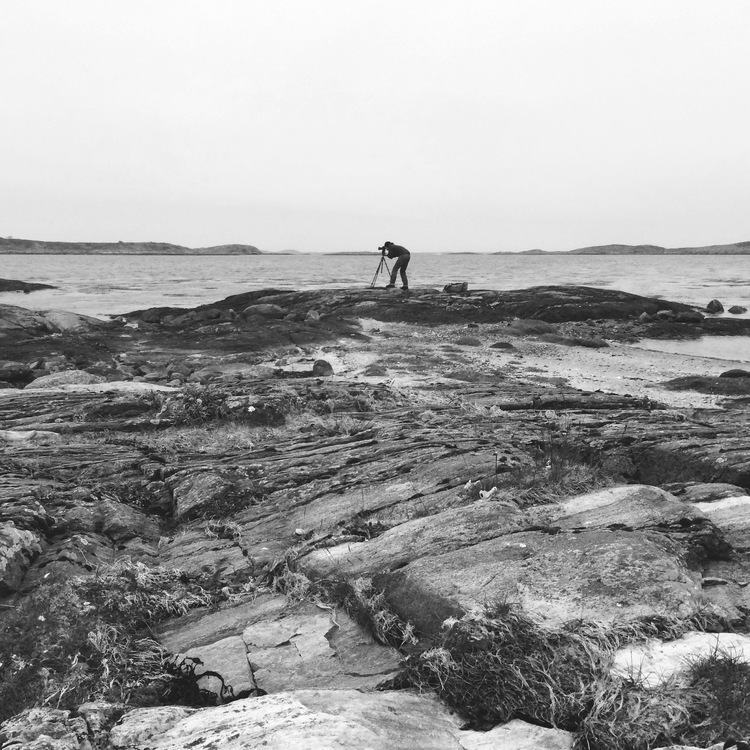 image-making is about taking beautiful and timeless images with an edge. Kjell Ruben began his career in 2005 with landscape photography while travelling around the world for six month. Back in Norway, he continued working within the field of photography as a general manager for a studio focusing on family portraits. 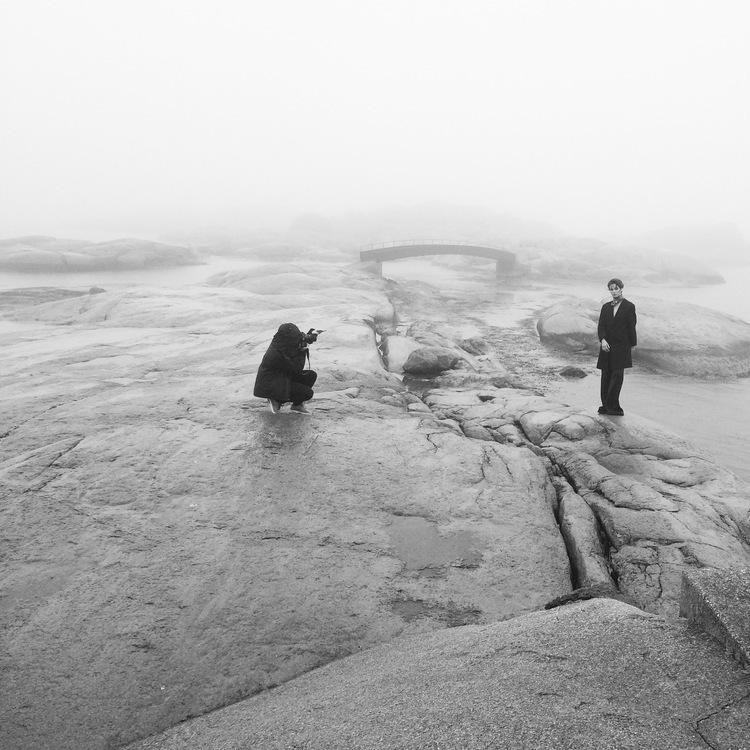 In the beginning of 2010 he started working as an assistant to the reputable Norwegian fashion photographer Jørgen Gomnæs. He stayed with Gomnæs for three years before continuing taking images as a freelance photographer. Kjell Ruben’s work has gradually evolved from nature and landscapes into advertisement, portraits, and ultimately fashion. The power of his images is the simplicity with a profoundly human focus, and the ability to look beyond reproducing reality.